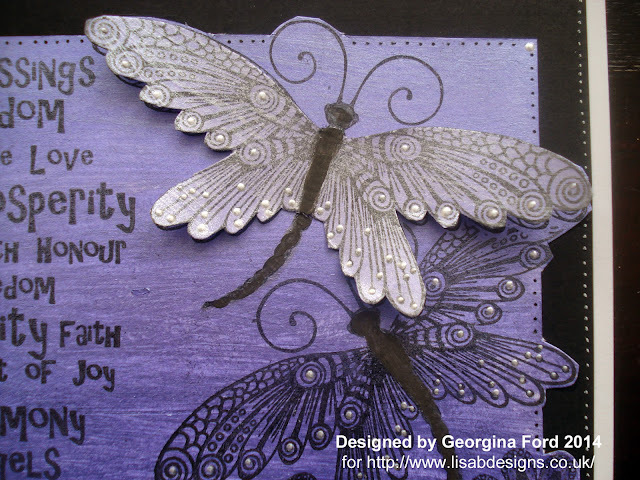 Today I have a card to share with you using lovely flowers, butterfly and wording stamps by Lavinia, which are available from Lisa B Designs. To make this card I started by cutting a square of white card. I cut it larger than the final required size. 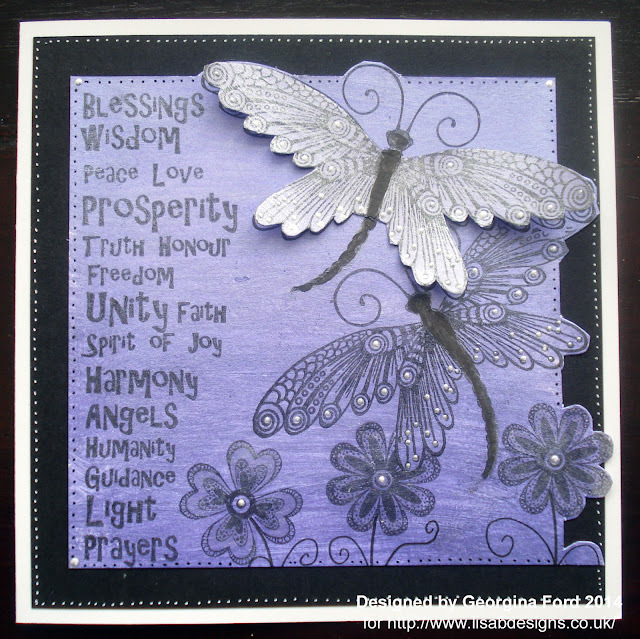 I covered the square with a layer of Lavender Lace Silkies which I painted onto the card with a brush. 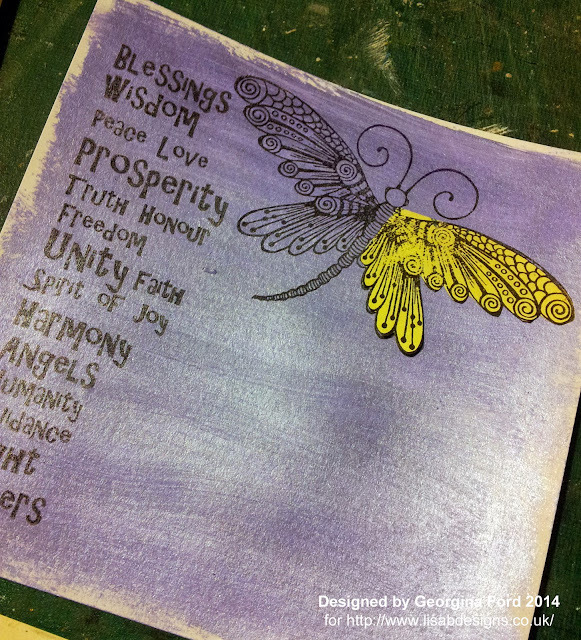 Once dry I stamped on wording, Zen Butterflies, and Zen Mini Flower stamps with a black ink pad. 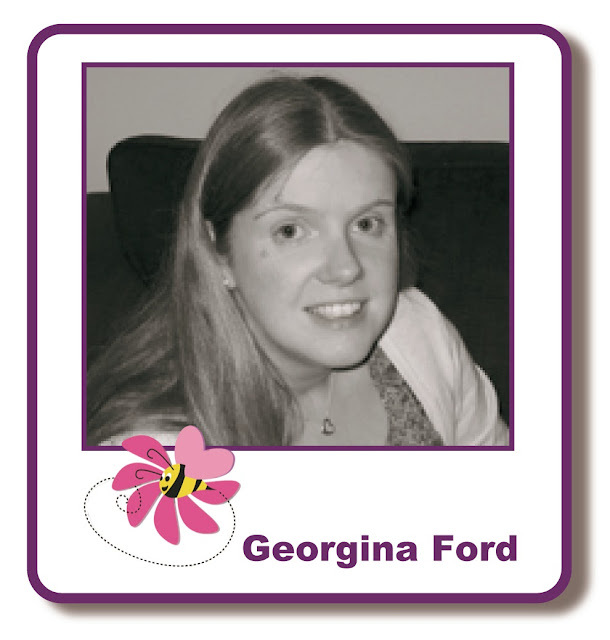 I used a Post-It note to mask off the butterfly wing so I could stamp the other butterfly over the top so it would look behind the first butterfly. 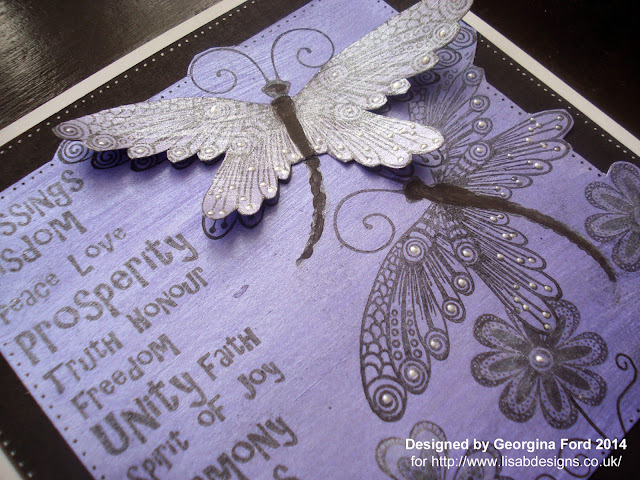 I stamped the butterfly again onto a piece of white card. I added a little water to the Silkies paint that was left from painting the background before painting the butterfly with it. Once dry I cut out the wings and top part of the boy as one piece. I cut the painted background square to a smaller size. Where parts of the stamped image went over the edge of the new size square then I just cut around them. I added the background to a square of black card before attaching to a 148x148mm white card blank. To finish the card I added white and black dots and Opal White Liquid Pearls. Another beautiful card to inspire. Love it.